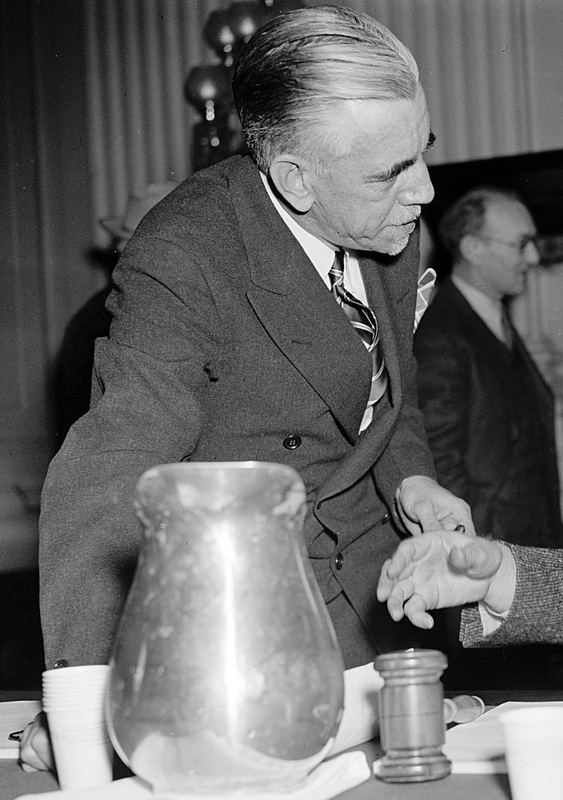 During the 1936 U.S Presidential election, William Dudley Pelley, the son of a Methodist minister from Massachusetts entered the race as a candidate for the Christian Party. Formerly a foreign correspondent across Europe and Russia in the years after World War I and a Hollywood screenwriter in the 1920s, he gained infamy by becoming leader of the Silver Legion of America and the Christian Party in the 1930s. Pelley embraced the wave of fascism that washed over society in the 1930s and openly declared “the time has come for an American Hitler.” He printed his own mouth organ called Pelley’s Weekly which focused its written attacks on President Franklin D. Roosevelt, left wing politics and African-American, Jewish and Irish people among various other minorities. On January 30th 1933 Pelley founded the Silver Legion of America in Asheville North Carolina. Membership was open only to white Christian males while the uniform consisted of a silver shirt, blue trousers and a red L emblazoned on the breast of the shirt. The Silver Shirts, as they became known, turned out across many towns and cities across the United States putting on mass rallies where Pelley spoke about restoring American society through extreme patriotism. The right wing rabble rousing Pelley targeted minorities through his hate filled speeches and to the delight of his followers, Pelley promised to disenfranchise such groups if he ever rose to power in the Land of the Free. Membership of the Silver Shirts numbered somewhere around 15,000 but this small group and its charismatic leader spewed a terrifying influenced over ordinary Americans. Both working and middle class white people saw Pelley and his Silver Shirts as the answer to America’s problems at a time in the country’s history when the Great Depression was sweeping the land. At Silver Shirt rallies Pelley’s speeches hung heavy with words of grave threat. Pelley favoured building a mental wall of isolation around America. He favoured a ban on immigrants, most notably Jewish and Irish, from entering the United States. He favoured a more militaristic approach to creating a moral America. Pelley received funds through connections in Nazi Germany and set about building a world headquarters for the Silver Legion in a remote part of the Hollywood hills. At Murphys Ranch outside Los Angeles the flag of the Silver Shirts, silver with a red L on the upper left, flew over a sprawl Pelley envisioned to be the HQ of his militia and party despite the irony of his being vocally against Irish migrants. From Murphys Ranch Pelley established the Galahad College where Christian economics were the main staple of education for the future makers and breakers of America. 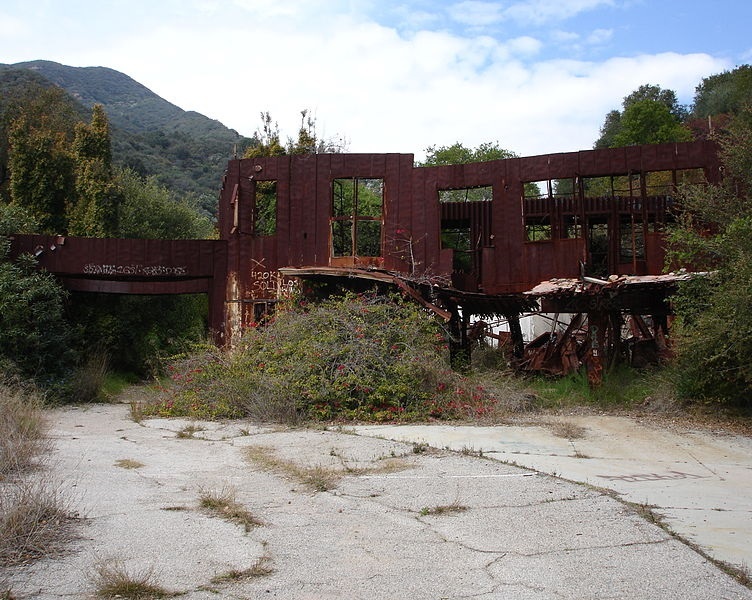 Today Murphys Ranch is an abandoned, overgrown and graffiti covered mess. A year after forming the Christian Party of America (CPA), Pelley then used it as an engine to propel him to the White House or so he thought. The 1936 Presidential election campaign in the United States was a particularly dirty one, with Roosevelt receiving most of the personal slander. During the campaign Pelley was largely ignored by the mainstream media who viewed him as a deluded outsider. It was a chaotic election for Pelley who carried out an extensive country wide campaign called The Silver Cavalcade, which saw mass rallies often marked by violence. His running mate was the firebrand Silver Shirt leader from San Diego Willard Kemp and even though he had achieved in whipping up enough hysteria through his mass rallies, he did not succeed in winning over the political system and Washington state was the only one to let his name appear on the ballot paper. On election day Pelley won just under 2,000 votes. He finished far behind both the Socialist and Communist candidates. The violent tendencies of Pelleys supporters continued after the 1936 Presidential campaign. In 1938 three Chicago Silver Shirt meetings ended in riots. One of them saw Pelley’s right hand man Roy Zachery fined $15 for disorderly behaviour and a stint in hospital when he received severe head injuries following a beating down from a policeman’s baton. In 1939 five Silver Shirt members from Chicago smashed the windows of the Goldblatt Brothers department store. The streets became mini warzones for those attending Silver Shirt rallys, but Pellleys supporters were all too often met by counter-demonstrators which usually resulted in the Silver Shirts turning on their heels. After the attack on Pearl Harbour in 1941 Pelley dissolved his Silver Shirts and Galahad College disintegrated. That same year state police in California took over Murphy’s Ranch and Pelleys dream of a morally upright, fascist and isolated America faded away. Pelley would spend the rest of his years battling the federal government through court cases. Pelley was later sentenced to 15 years for sedition and after serving just under eight years he was released. Pelley died at the age of 75 in 1965.